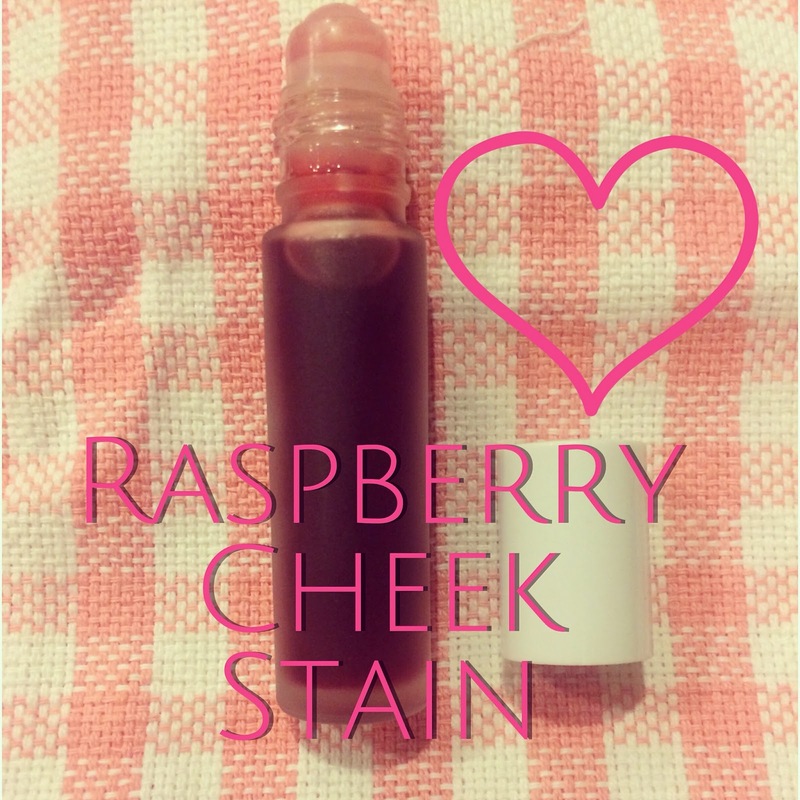 I have a wonderful and easy recipe for an all-natural raspberry cheek stain that is made with freeze-dried raspberries. You are going to love, love, love this recipe!!! It gives your cheeks a beautiful rosy glow and smells like fresh picked roses with the addition of some Bularian Rose essential oil from Mountain Rose Herbs. 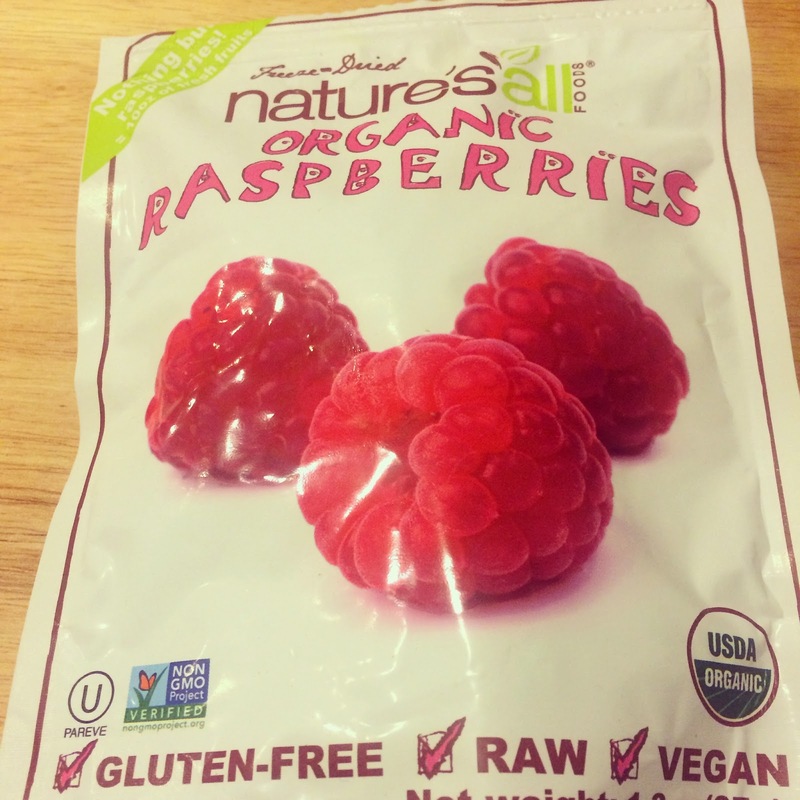 Start out with 1 heaping tablespoon of organic freeze-dried raspberries. Place them into a mortar and pestle. 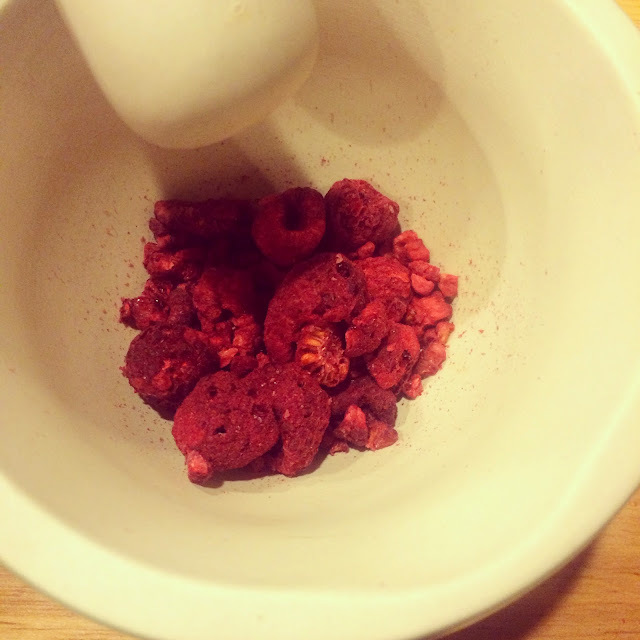 Grind the raspberries into a fine powder. You will have some raspberry seeds mixed in with the fine powder that you will want to sift out. I used a tea strainer to separate the powder from the seeds. Discard or compost the seeds. 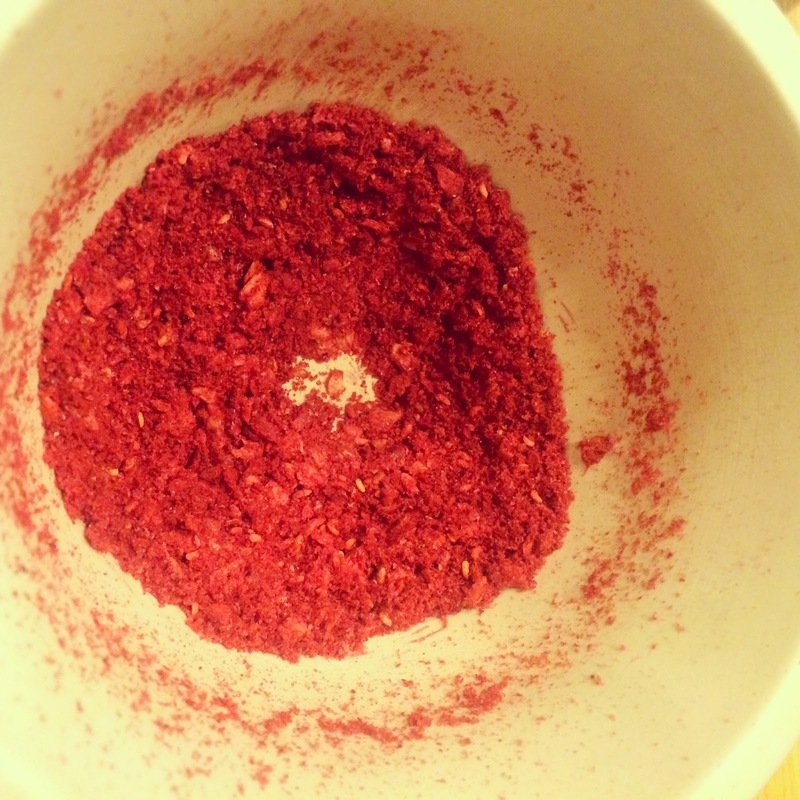 You will have a heaping teaspoon of the ground raspberry powder. 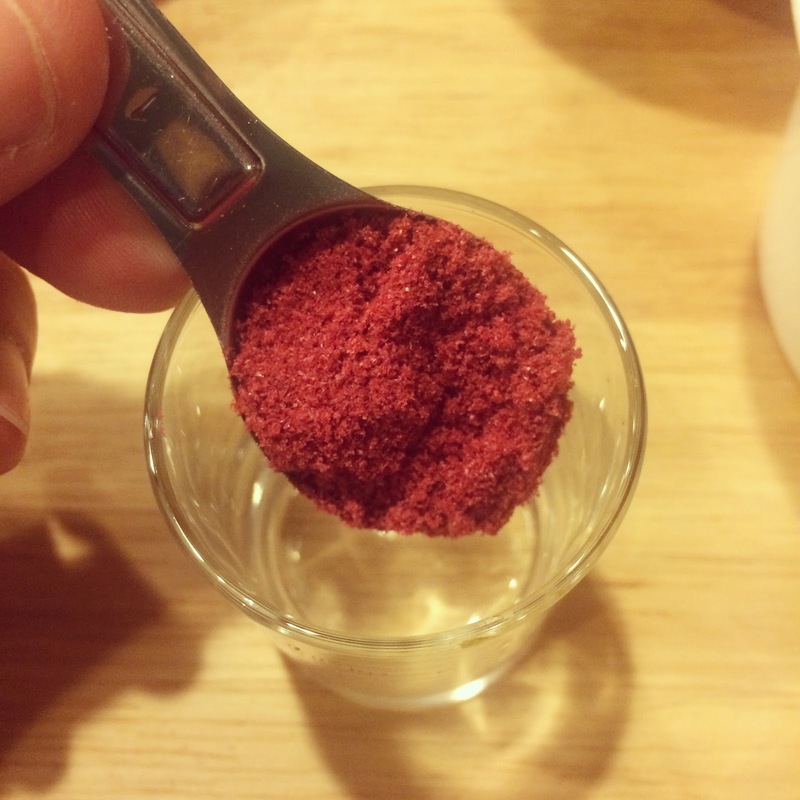 Add the raspberry powder into a small shot glass. 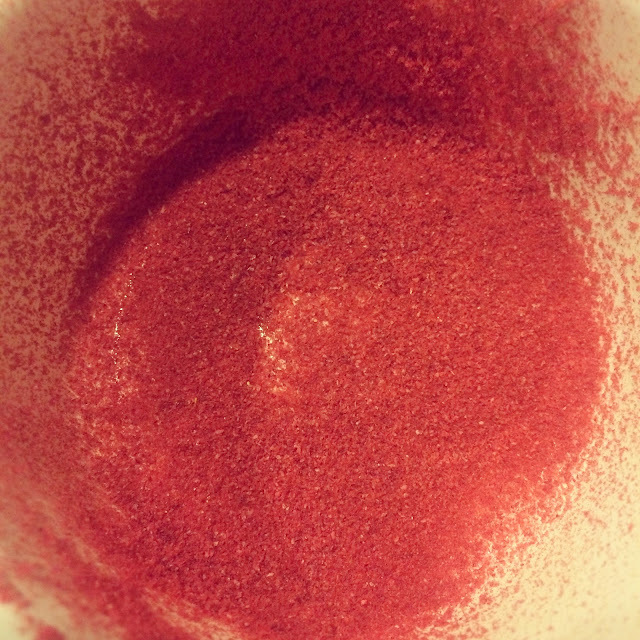 Add one tablespoon of 151 proof grain alcohol to the raspberry powder. Mix well. 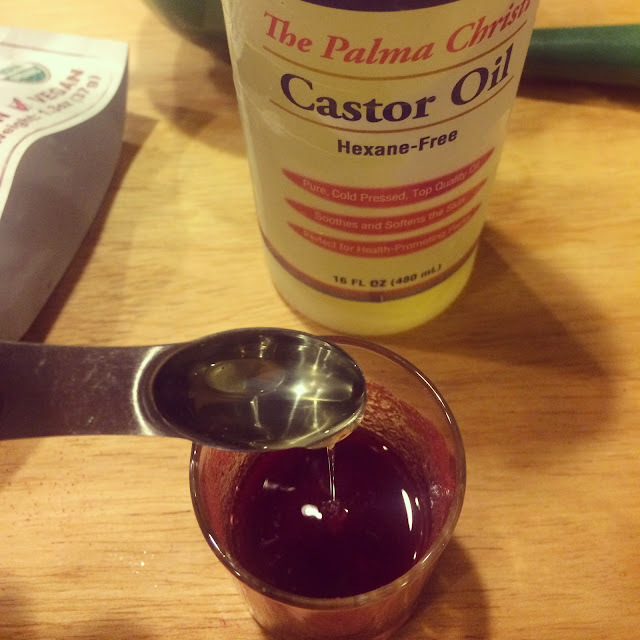 Drizzle in 1/4 teaspoon of castor oil. This will help to prevent the alcohol from drying out your skin when applied. Plus, it imparts a subtle rosy glow to your cheeks. Stir well and cover the shot glass with a coaster to prevent the alcohol from evaporating. Let it sit for at least an hour. 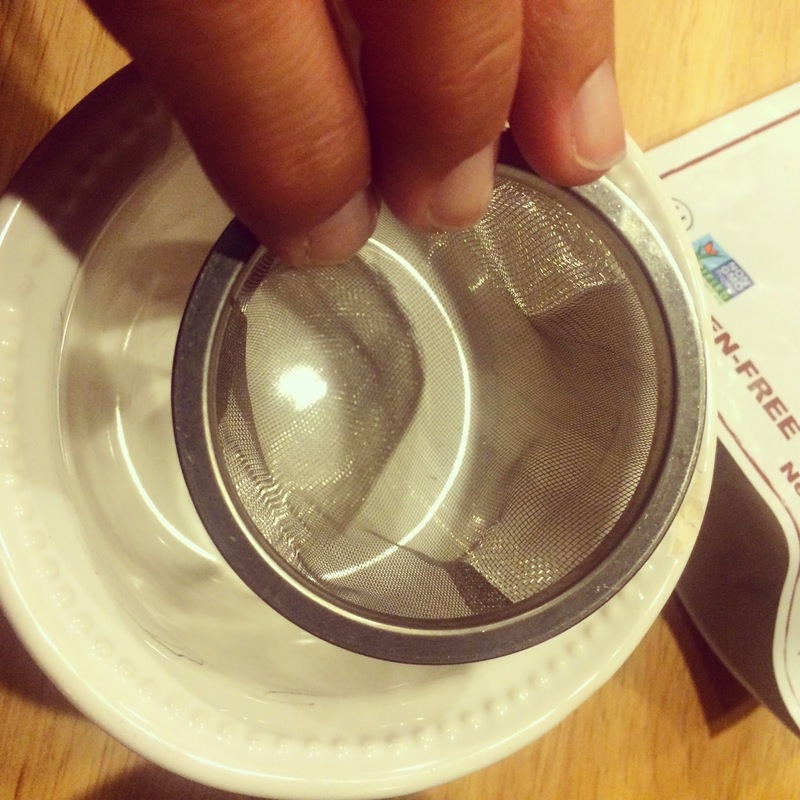 Strain the liquid through a small coffee filter or muslin cloth into another clean shot glass. 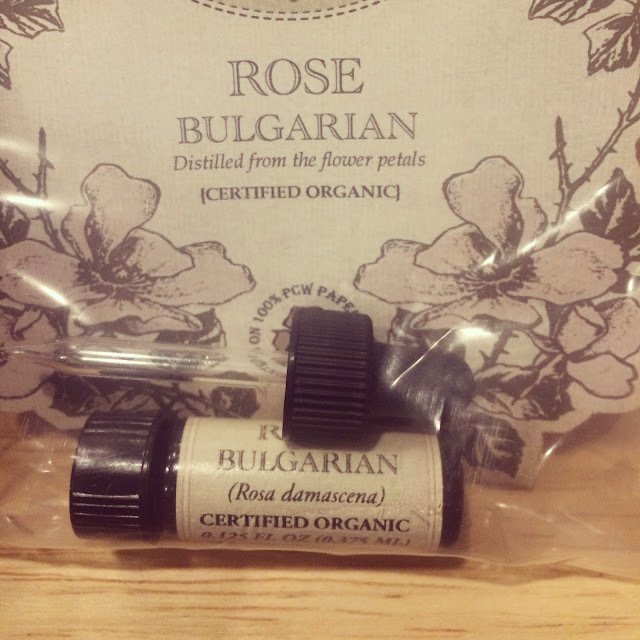 Add in one drop of Bulgarian Rose essential oil. 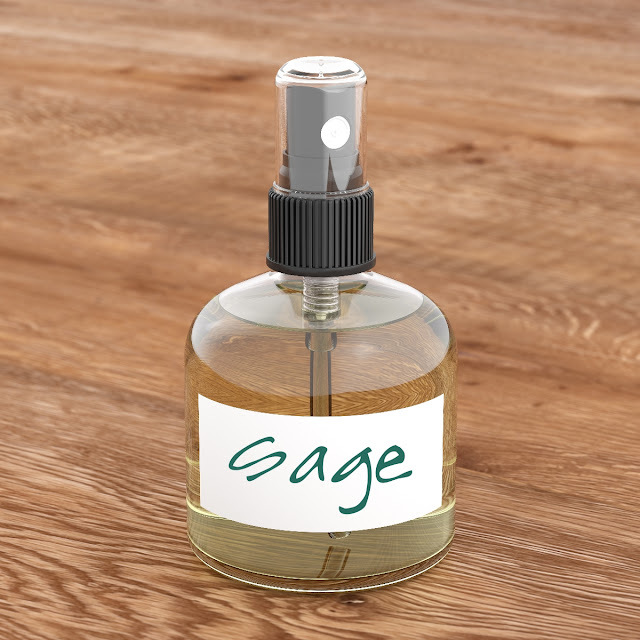 You can order it from Mountain Rose Herbs. 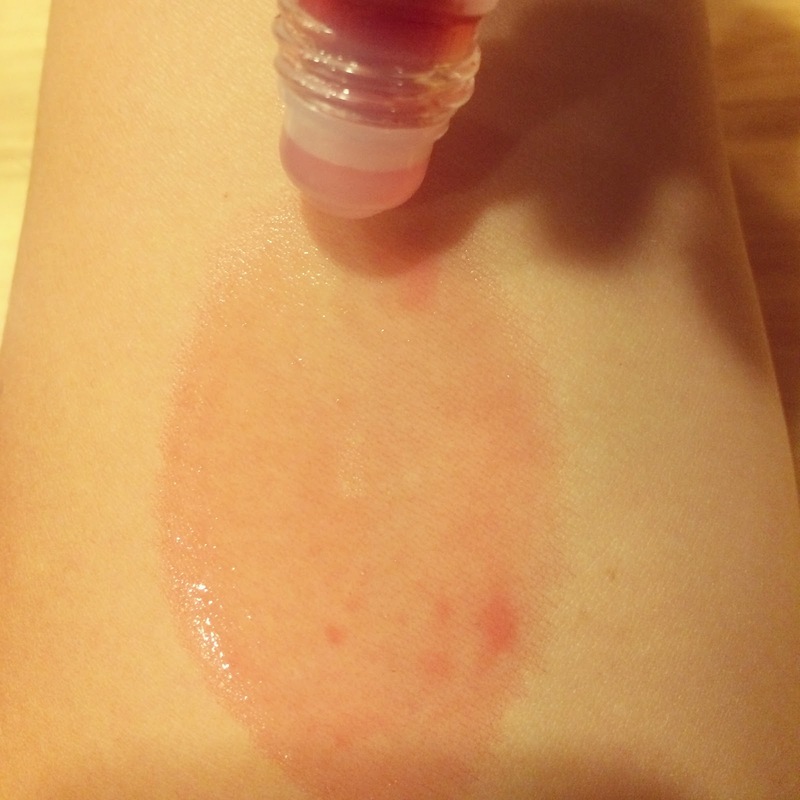 Transfer the raspberry cheek stain into a small glass roller bottle. 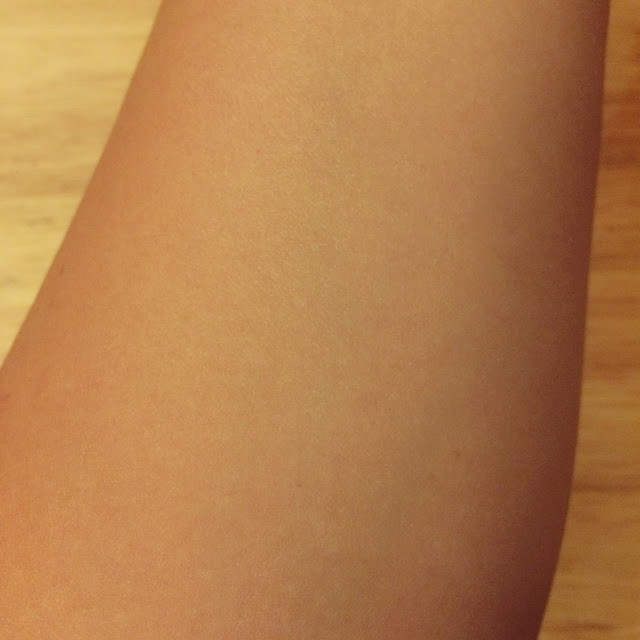 You can apply as little or as much as you like. 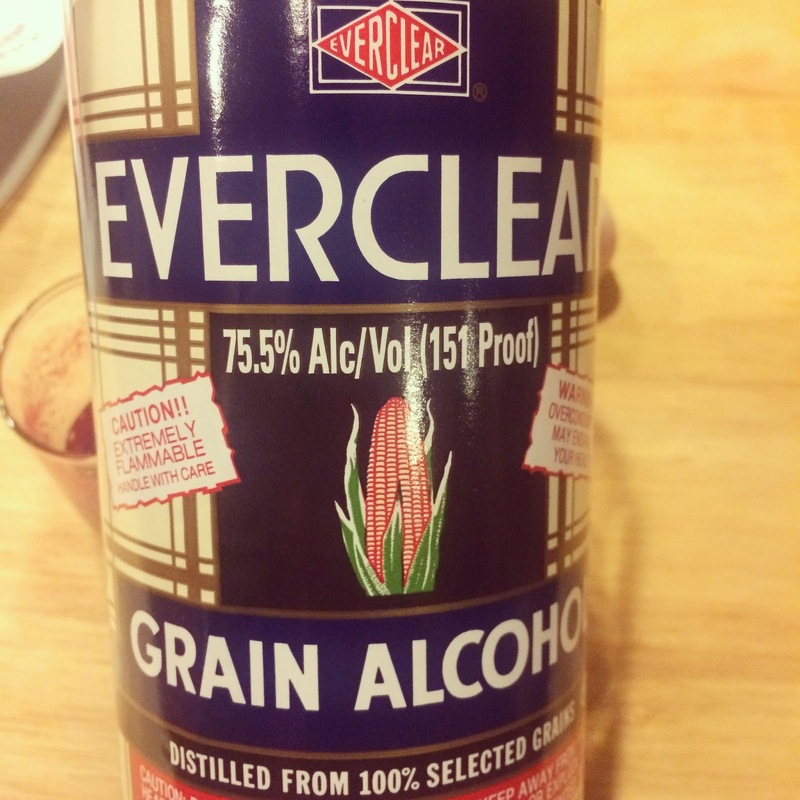 It will dry very quickly due to the high alcohol content. As you can see in the photo above, the cheek stain dries to a very beautiful pink hue. I am very excited about his recipe. It was super easy to wash off with my mild face wash. 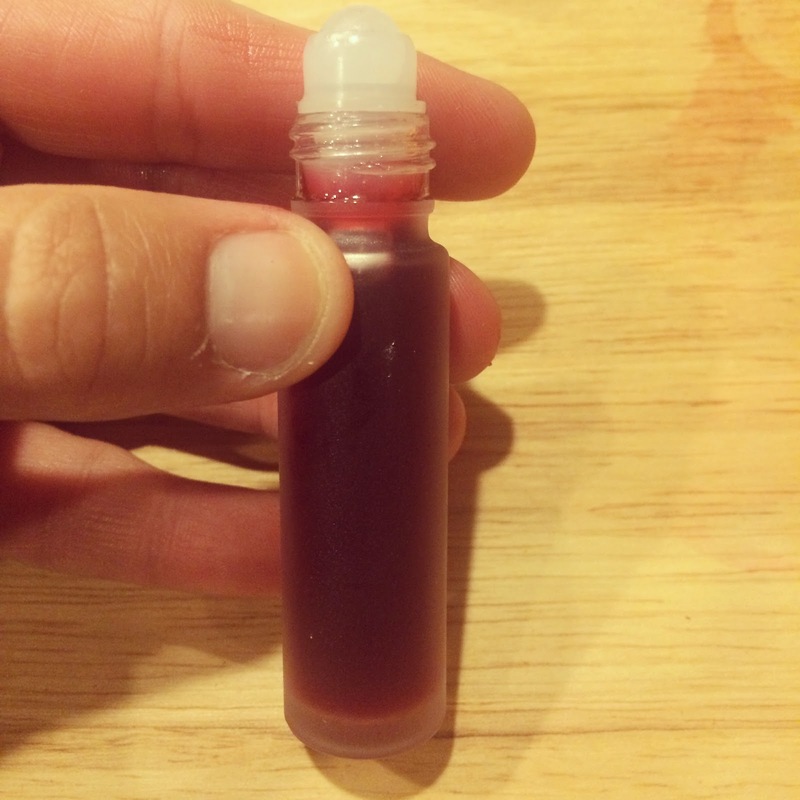 Some of you may be wondering if you could use this as a lip stain, and my answer is YES....but you need to make one change to the recipe. 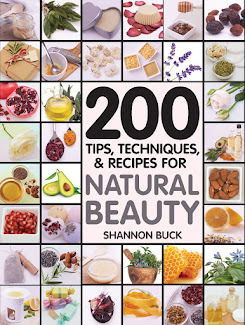 Instead of using 1/4 teaspoon of castor oil, use 1/2 teaspoon of sweet almond or sunflower oil. 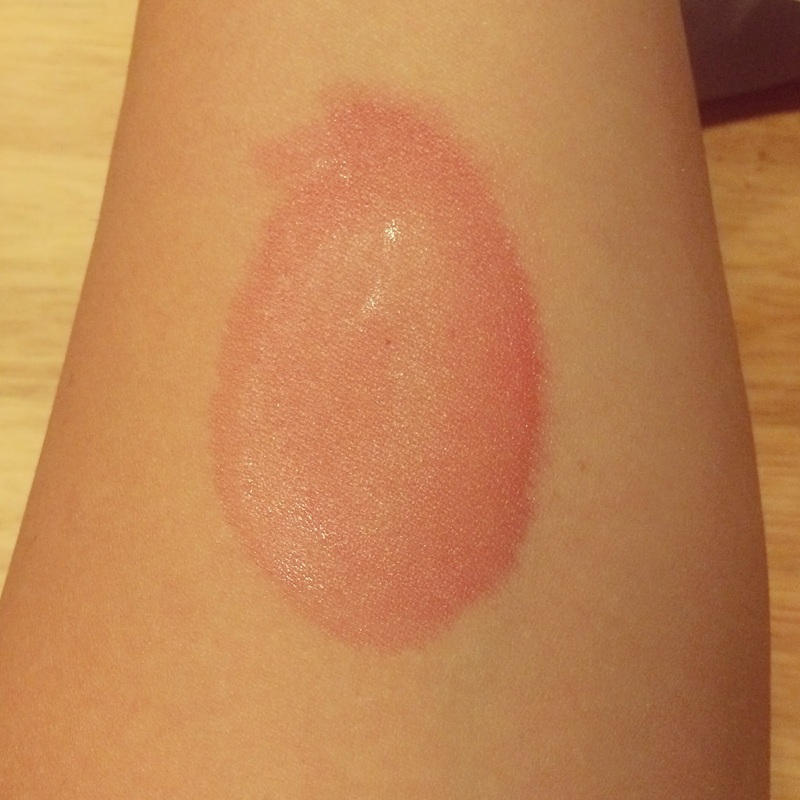 You will need to shake the container well before you apply the product to your lips. Due to the high alcohol content, you may experience dry lips if you use it too often, so discontinue using if it becomes bothersome.